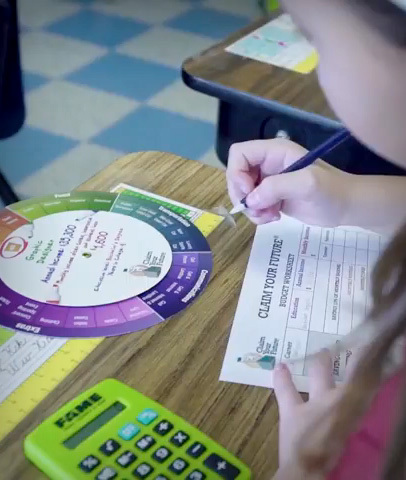 Claim Your Future® is a game that encourages you to explore education after high school, future careers, and money management. Welcome to Claim Your Future! Brought to you by FAME, Claim Your Future® is a game that encourages exploration of education and training after high school, future careers, and money management. Have conversations about their goals and aspirations. Link today’s educational and spending choices to future job options and financial stability. Distinguish between wants and needs and learn to prioritize. Describe benefits of saving and the impact of long-term student debt.